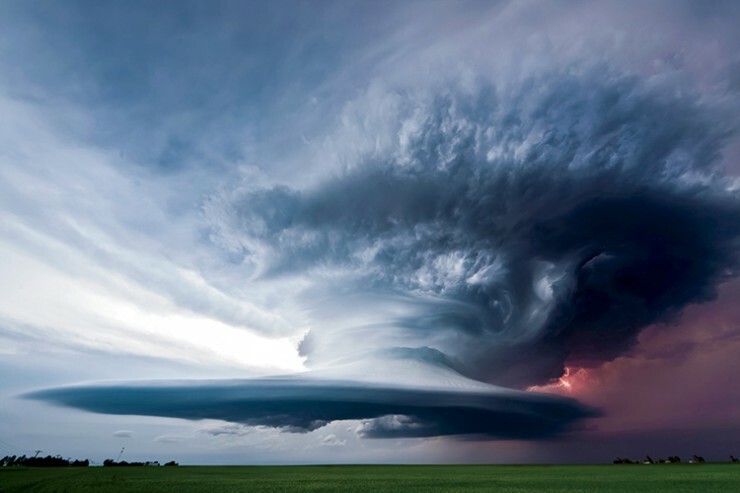 On the afternoon of April 28, 2014, Noxapater farmer Charlie Wilkes was out picking up feed pans in his eight poultry houses when his wife Cindy called to warn him of an approaching storm. “I came in the house at about 4 p.m., and 10 minutes later, the tornado warnings sounded,” Charlie recalls. The couple fled to their underground storm shelter in the floor of their two-car garage with their daughters – Joleigh, 17, and Jenna, 12. 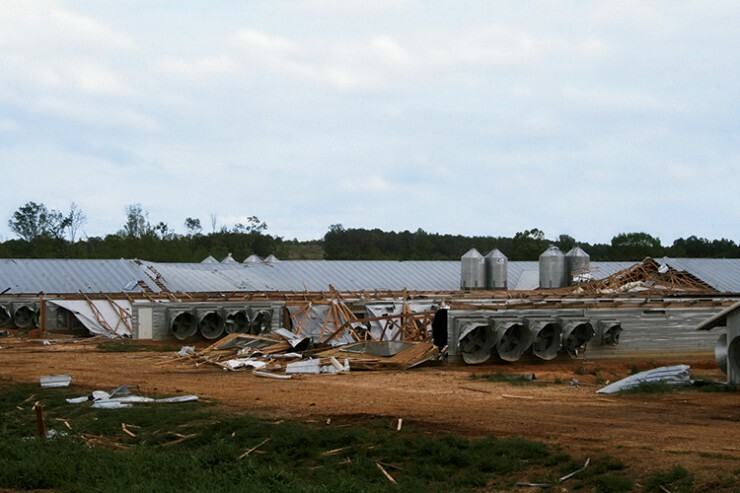 Within minutes, a tornado tore through their farm. They could feel the shelter shake and heard what sounded like “jet airplanes flying overhead.” The metal door over their heads rolled up with the wind and debris flew into the shelter. The Wilkes family suffered devastating losses during the storm. That was just the beginning. The family emerged from the shelter to find they had lost their home, compost shed, hay barn, two cow barns and all eight of their poultry houses. 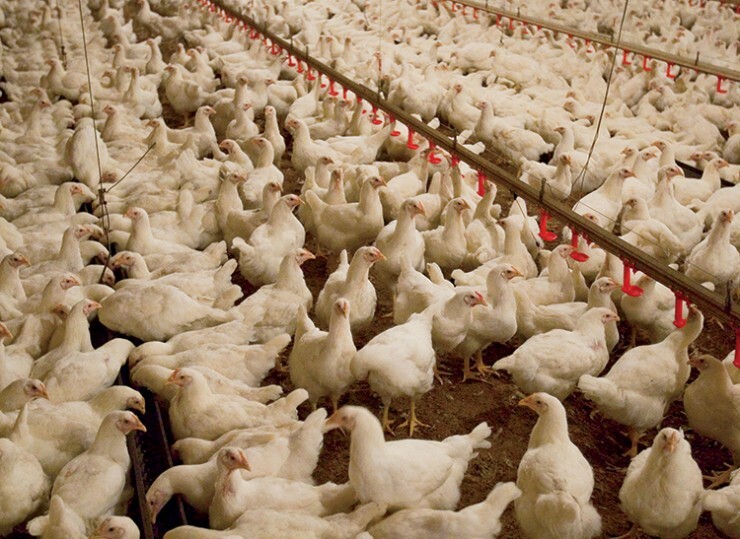 More than 220,000 dead chickens littered the ground. As a contract grower for Tyson, Wilkes raises chickens for 38 days or until they mature to four-and-a-half pounds. His eight aluminum- and wood-framed poultry houses held 28,500 broiler chickens apiece. Other growers in the area also lost birds. Ray Ables, a production manager for Tyson, says the company has more than 1,500 contracted chicken houses in Mississippi. Thirty were destroyed in the April tornado and 10 more were badly damaged. Weather events such as this one can have a ripple effect all the way to the consumer, causing food shortages and higher prices. Fortunately, this one did not. The hen houses that were destroyed meant a shortened local egg supply, but Tyson was able to get hatching eggs from other locations and hold their other hens longer to make up for the weekly eggs needed. “If the tornadoes in April had picked 30 hen houses to destroy, our hatching egg supply would have been cut drastically,” Ables says. Droughts and extreme temperatures also take their toll on farmers, sometimes all the way to grocery store shelves. Tom Tabler, extension professor in the Poultry Science Department at Mississippi State University, says last winter’s extremely cold temperatures meant many poultry producers had to spend a lot of their income on propane to heat their chicken houses. 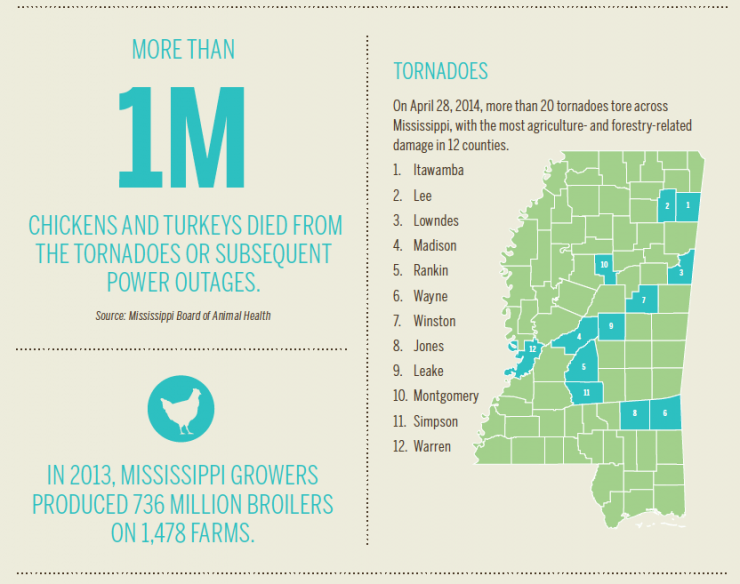 After the April tornado, Tabler helped coordinate relief efforts in Louisville, moderating informational meetings and matching up storm victims with representatives from the Federal Emergency Management Agency, Mississippi Emergency Management Agency, Mississippi Board of Animal Health, as well as other state and federal agencies. The week after the storm, Tyson team member volunteers worked in shifts to prepare more than 20,000 protein-packed meals for storm victims and volunteers working in the Louisville area. Many team members who work at the Carthage facility and live in the Louisville area were directly affected. Chickens are raised in poultry houses like this for 38 days or until they mature to four-and-a-half pounds. With the help of insurance, Charlie and Cindy Wilkes have rebuilt their poultry houses and were on schedule to receive their first supply of chickens from Tyson in November of 2014. Their house is yet to be rebuilt. In the meantime, they are staying in a cabin that belongs to Cindy’s parents. Despite all the hardships they’ve faced, Charlie has managed to keep a sense of humor. The Wilkes want to thank everyone who helped with cleanup. “There was debris everywhere, and our neighbors, community, churches, Tyson employees and Samaritan’s Purse came to help us,” Charlie says. Tabler says Mississippi farmers who suffered damage had to first assess if they even wanted to rebuild.